The internet provides you the convenience you have never even imagined possible. You are able to keep in touch with relatives thousands of miles away, your children are able to do their research, you are able to monitor your bank account through a secured website and you are even able to hold video conferences. The benefits of the internet seem unlimited. Now, if you are of the entrepreneurial mind, then you will definitely see the opportunity that is being shoved right under your nose. You can make a decent amount of money through internet marketing. 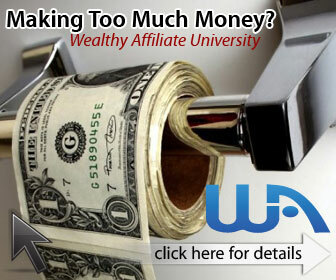 Through the internet, you have infinite income-generating opportunities. If you have a product or a skill worth selling, then you should definitely try internet marketing. The internet is already providing you an avenue to be able to reach more people than you can ever imagine. Even more so than the people you actually converse with or market to personally. My sister has a business making souvenirs for weddings, debuts, christenings and corporate events. She has been doing very well with her regular customers within her state, but she expanded her business and put up a website. Now, her business is thriving and her customers are not limited within her state. She even has customers from several different states. This is the advantage of internet marketing. Must read: How to Make Money Online for FREE!!! So now let’s talk about the 6 Proven Ways to Earn Money Online! E-bay Selling – Buying and selling products is one the most common ways of making money online. It can be very profitable if you find, make or channel a product that is in demand for example: e-books/information, electronics, furniture, office supplies, apparel, etc. The key is to out-think the competition, since the creation of the Ebay phenomenon thousands of sellers have monetized on the opportunity. It’s important to find a product that you’re familiar with in order to be an effective seller; for example, don’t sell computers if you don’t know what “processor speed” is, you’ll just set yourself up for failure. If you are having trouble finding a product try going to WWB, they offer products as well as information/ tools on how to find niche products and sell them on Ebay. You can also go to the Ebay store to set up an inexpensive storefront if you don’t want to build your own. Drop-shipping- the advantage of drop-shipping is that you don’t have to worry about moving the products yourself. With drop-shipping you’re really working as a third party in the sense that you find vendor’s who’ll drop-ship, and when you make a sale, they deliver the products directly to the customer for you-thus, no inventory or overhead costs. It can also save you the money and hassle of running to UPS store every month to send/receive shipments. Another perk is that you don’t have to buy the product before you sell it! You simply take the order and give it to the manufacturer for shipping, and you receive a check, without having bought a thing. I know I make this sound pretty easy but in fact it takes an adequate amount of information gathering in order find hot products. Back orders and returns can be a headache if you’re with a bad vendor. E-trading is a trend growing more in popularity every day. Right now the biggest e-trading market is Forex (Foreign Exchange Market) which has a higher turnover rate than the U.S. equity market. Foreign currency trading is a VERY lucrative market and involves simultaneously buying and selling currency online. Transactions take place OTC (Over the Counter) or via internet/phone, as there is no centralized location for trade such as with the stock or futures markets. Not only does Forex offer trading tutorials and conferences for you to learn to trade, but they also allow novice traders to get a taste of the market by allowing you to begin trading with as little as a $25 investment. Forex trading time is short in nature as it does not require long periods of holding before trading as with stocks or bonds. Actually 85% of all currency transactions last around a week or less. A great benefit of trading with Forex is that you aren’t charged commissions or exchange fees. They also offer “real time” price quotes. Go over to Forex.com to get more information about the currency trading market and how to get started. MLM and Direct Selling business opportunities in my opinion are the most misrepresented and underestimated income opportunities on the web. Most of this is due to false and misleading claims about products/services and income potential made by shady distributors and sales associates. Multi-Level Marketing or (MLM) companies are organizations that provide a product or service and market it by “word of mouth” advertising or paying independent distributors to sell the products as opposed to paid advertising i.e., radio, TV, newspaper. These distributors sell the products and receive commissions; however the majority of the money is made by “referring” or bringing in more distributors, who then bring in more distributors, and so on. The key to these businesses is to find established and legit companies with good commission structures and not spend time and money on small, “fly by night” corporations. Direct Selling is really in essence MLM (even though they try hard to distinguish themselves) except the products that are usually sold are “higher ticket” or more expensive products. Direct selling allows you to make more money with fewer recruits because you have higher commissions. Both of these opportunities are for people who have desire and motivation to “run their own business”, because once you recruit people in under you, you have to teach them how to do the same, it’s called the process of “duplication” which involves duplicating the work habits of successful individuals and teaching others to do the same. Income is unlimited and residual, so even when you retire from the business (realistically anywhere from 2-4 years) you’ll still receive checks! An initial investment is required for both opportunities in order to purchase the products and/or start-up kit so if you are not looking to invest anywhere between $50-250 for an MLM or at least $500-2k for Direct Selling maybe these businesses aren’t for you. With so many un-established companies on the internet, it is hard to discern what companies are paying real people real money, so do your research before pulling out your credit card. There is a high drop-out rate in MLM’s due to lack of adequate training from the recruiter/upline and or motivation on the recruits part, so choose your upline carefully because some members will recruit you then leave you on the corner. Direct selling is a bit more challenging due to the type of products/services being offered. It’s more challenging to sell due to the fact that a lot of people who are looking for a business are doing so because cash is tight, so most of them don’t have a grand to invest in order to start (believe me I know). Last but not least we have Affiliate Marketing programs. Affiliate programs are perfect for people who don’t want to sell their own product, don’t want to talk to people on the phone or in person, and/or don’t want to spend a lot of money. An affiliate is someone who advertises a company’s services/products on their site by placing banners/ads of the company’s site on their website. When the organization makes a sale from your website link, and in some cases even a referral from the affiliate’s site, the affiliate receives a commission. Affiliate marketing is inexpensive to start because 99% of the companies don’t charge you to become an affiliate, and why should they? I mean after all you’re bringing them visitors, which turns into more sales revenue. You don’t have to have your own site to be an affiliate, but it is necessary if you’re looking to attract more visitors and make more money. The key is joining a good handful of affiliate programs so that you can create multiple streams of income, that’s how top affiliates earn thousands/week. If you don’t have traffic, what’s the point? It’s better if you actually KNOW HOW to bring traffic to websites. Many affiliates don’t make money due to the fact that they don’t know how to market their programs. Not enough??? Well, try thinking out of the box. Most successful online marketers created income by simply finding a need or a solution for a product/service. For example, while on vacation a few years ago, I came across a guy who’d made millions simply by creating a website/lead capture page that surveyed people who were searching for properties online. The page, he stated, basically was a questionnaire collecting information about their requirements: price range, number of rooms, location, etc. After receiving the information from the site, he then sold their information as leads to mortgage companies and real estate agents in those local areas! This can be a very profitable business venture because real estate agents are always on the hunt for warm leads. You can even apply this to any other business where leads are sought after. Don’t let drawbacks discourage you!! All of these strategies are viable and the most commonly used ways to make money online. You just have to have belief that you can be successful. Besides, what business doesn’t have its drawbacks? Now let’s talk a bit more about my Number 1 recommended way to make money online – Affiliate marketing and how you can make money with it. When you go surfing the Internet, you probably have noticed that every website that you visit contains several advertisements and some external links directing to other sites. You will also notice that these advertisements are just attractive enough to convince you to click these advertisements and links and see what is beyond that attractive ad and link. Such figure is quite unbelievable, but it is the reality of an affiliate program. You have the power of earning thousands of dollars each month even if you do not have your own products to sell. All you have to do is to promote the products or services of other merchants. You are dictating the flow of money that you want and at the same time freeing yourself of worries about customer’s issues, refunds, shipping, and other sales-related aspects. Just attract potential buyers to your website and redirect them to the affiliate link. Once they have purchased the products or services you have endorsed, you will be able to receive commissions from every sale that you have made. You will get paid depending on the percentage agreed upon on the affiliate contract. Basically, the commission that you will receive varies from 10 to 75 percent. When you sign up for an affiliate program, you will be provided with a special affiliate link with a unique code that will identify if the click on the link actually comes from your affiliate link. You will just copy and paste the code to your web pages, however, do not spam and the promotion will depend on you—whether you will promote it through sending email newsletters, online forums, and on your website. However, despite of the simplicity in earning through Internet affiliate marketing program, the main concern here is how to be successful in your chosen affiliate program. What you need here is real people—real people who will patronize the affiliate products or services you are endorsing. Once you have failed to draw more people to the assigned affiliate link, your dream of earning a huge 5-figure income in affiliate program will remain to be a dream forever. Remember that your main target here is to drive heavy web traffic towards your site that will click on the affiliate link provided in your web pages. Promotional tools such as free article directories and writing weblogs are just a few of the latest additions in promoting affiliate sites. Provide initial yet useful information about the products or services you are endorsing for sale, and use the power of words to attract them to visit your affiliate link. In this way, you will be able to attract more potential buyers to your site and possibly give you the commission you are longing for. Hi, I have given you 6 ways and even recommended what you can pursue. Better yet, why not try out all of them and see what suits you?